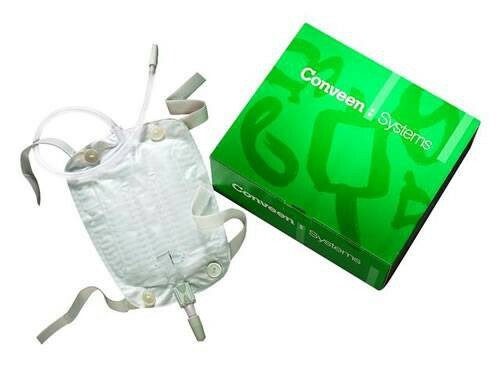 Conveen Security+ Urinary Leg Bags, BUY Leg Bag, 5170, 5171, 5174. 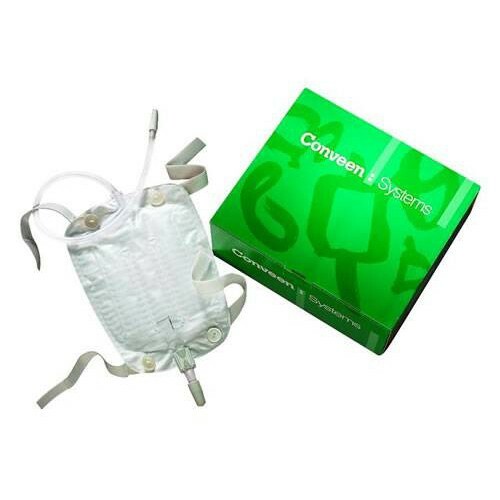 Conveen Security+ Contoured Urinary Leg Bags by Coloplast features unique internam chambers that will fill quietly and discretely by distributing urine evenly. The leg bags are latex free and very light weight. Anti-kink tubing is pre-attached and is adjustable. There is a cloth backing to keep the skin dry and unirritated. This absolutely the worse bag that I've ever used. I bought a few to try them out and within 3 weeks I have used 3 of them. The seam on the side keeps bursting (both sides, different bags). I had ordered a case from this site and if I can't cancel in time I'm sending them back. Absolutely the worst. Don't waste your money. Won't take a minus star or they'd get it from me. Have to give a one. I have used this item for 8 yr. Until this year I had NO problems. But this year the cloth on back was weak and leaked twice. The latch at bottom broke once, too. It was the cause of a wet shoe and socks, wheelchair and floors. All were very difficult for me to deal with. At the time I wrote to Reliable Medical but never received an answer. The mfr. is in Denmark or I'd have written to them.